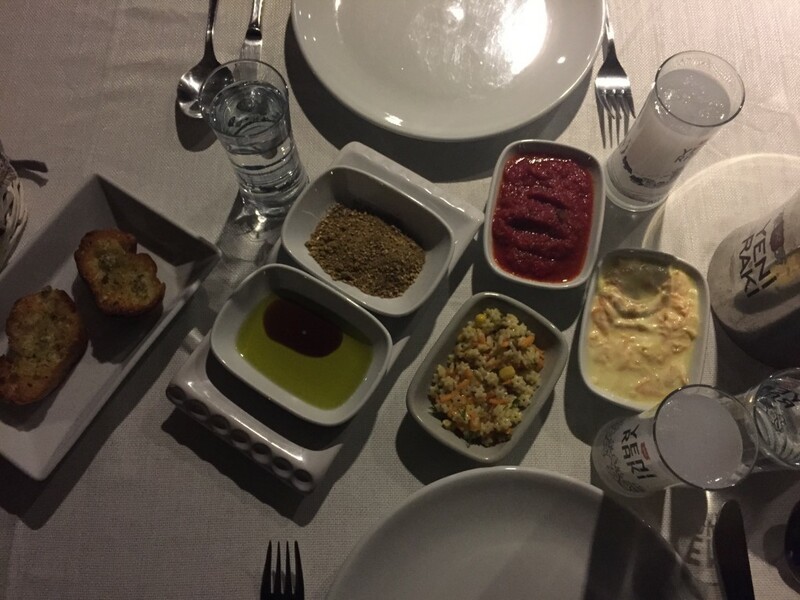 Seasons Restaurant – On our first evening in Istanbul, we dined at the Four Seasons Hotel restaurant, Seasons. Sitting outside under the stars in their beautifully manicured garden courtyard, we started with homemade bread served with a soft cheese called Lor, similar to ricotta mixed with herbs, some Bomonti beer and two glasses of Raki. My wife decided on a salad and one of the many varieties of pizza offered, and I chose the lamb skewers with cheesy polenta. The service was wonderful and the food, “lezzetli,” the word for delicious in Turkish. 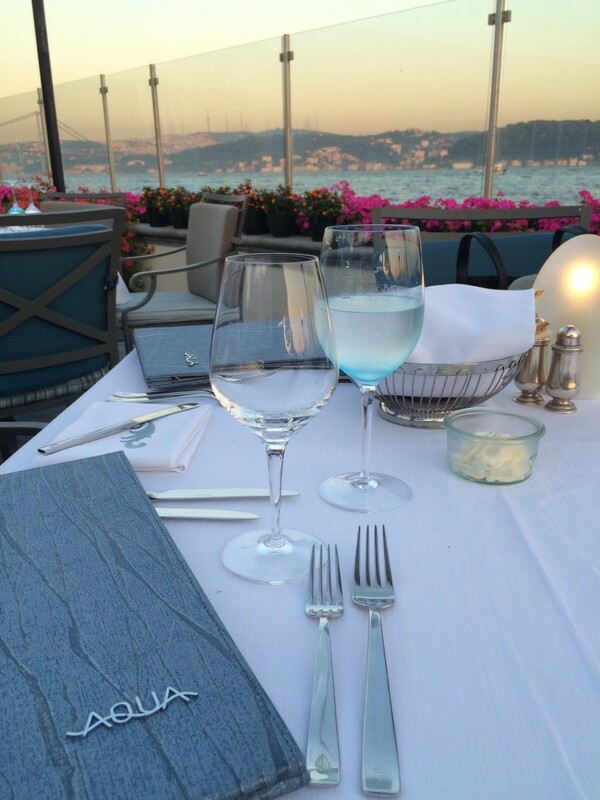 AQUA restaurant– Located at the Four Seasons Hotel on the Bosphorus is AQUA restaurant. While there’s a beautiful dining room inside, the outside terrace overlooking the Bosphorus is the real draw. Our server made us feel very welcomed, and walked us through the daily specials. 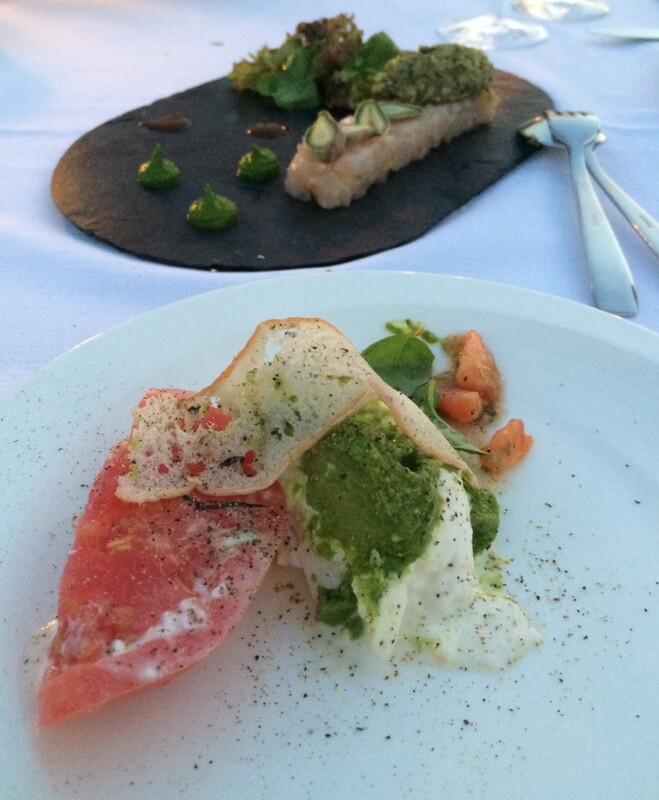 We started with a tartare of sea bass, a plate of fresh burrata cheese with local tomatoes, followed by fresh fish caught earlier that day. For dessert we were served a local specialty of pumpkin with fresh local honey and pistachios. 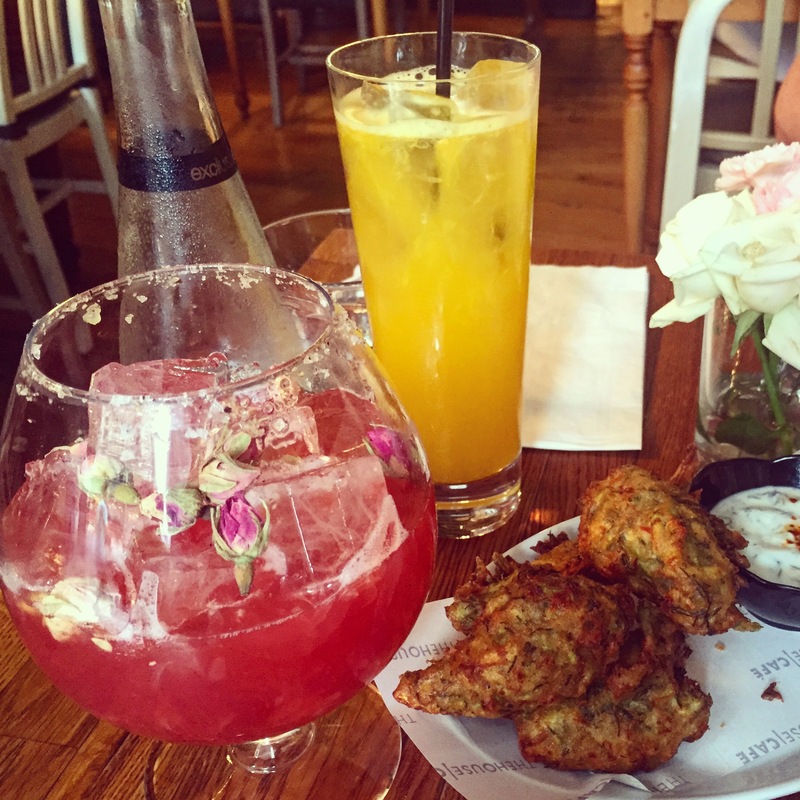 The food, service and ambience made for a memorable evening. Four Seasons Hotel Istanbul at the Bosphorus, Yildiz Mh., No:28 Ciragan Cd. Balikci Sabahattin- If your staying in the Sultanahmet area, Balikci Sabahattin Restaurant offers deliciously fresh local fish. The concierge at the Four Seasons Hotel recommended this open air restaurant where locals gather to dine on the abundance of seafood specialties. We were not disappointed. Credit cards accepted. Nar Lokanta – Nar Lokanta is a contemporary restaurant that serves traditional Anatolian cuisine while using only seasonal ingredients. We went for lunch after navigating the Grand Bazaar, so if your in the area, check it out. The menu varies due to what’s available at the market, but we couldn’t get enough of this deliciously healthy food. From the stone-oven baked Sembusek Pide with cheese and tarragon to the fried vegetable fritters called Mucver, we were in food heaven. Nar Lokanta is located in the Armaggan Nuruosmaniye Store on Nuruosmaniye Street, there is indoor as well as outdoor seating. Dinner at Yeni Lokanta in Beyoglu. 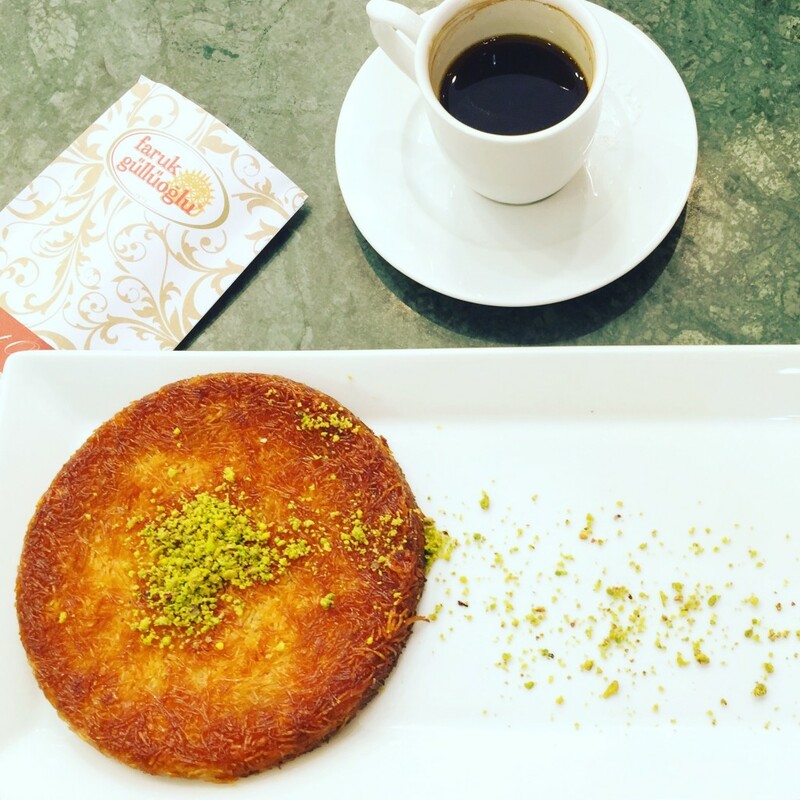 Faruk Gulluoglu, a pastry shop just off Taksim Square (there are several locations) draws customers with a dizzying display of sweets in their window. You can order pastries to go, or grab a table and enjoy these wonderful desserts while enjoying the atmosphere. We tried their Knafeh, Baklava, Turkish delight, homemade lemonade with mint and drank their strong Turkish coffee. Prices were reasonable and the service was great. Sedefe– Located in the heart of Goreme, Sedefe is a simple, yet pleasant restaurant offering traditional Turkish specialties. We stopped in for lunch and sat outside on their terrace. The waiter was very personable and immediately brought fresh hot local bread, cheese, olives and butter to the table. 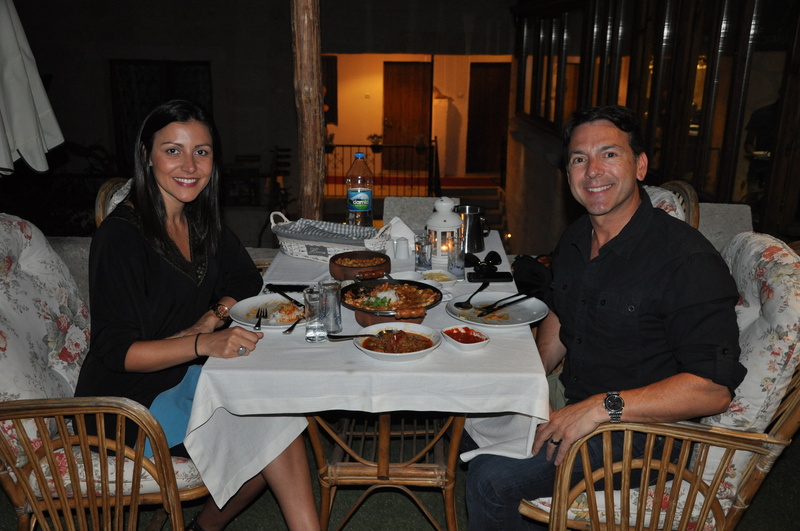 The menu was pretty extensive, and we decided to try a few items including one that Cappadocia is famous for, the Testi Kebap. Offered with meat or vegetables, potatoes, carrots, onions and other ingredients are sealed in a clay pot and slow cooked. When the clay pot was brought from the oven to our table, our waiter asked us to break the clay pot seal with our knife. After a few taps, the top of the clay pot opened! The “stew” like meal was delicious and filling. Since I’m a huge fan of kebap, I also ordered the Adana Kebap, a spicy meat kebap grilled over an open fire. This was very delicious, served with warm pita, grilled peppers, rice and potatoes. Sedefe was a great place to have lunch, offering good food and cold beer at reasonable prices. After an enjoyable walk through the village of Soganli, as we returned to the parking lot, we decided to check out the restaurant alongside the river. By the looks of it, we weren’t sure if we wanted to have lunch there, but ultimately decided to go and just have something to drink. As we made our way through the entrance, a beautiful garden with fruit trees and green grass opened before us. 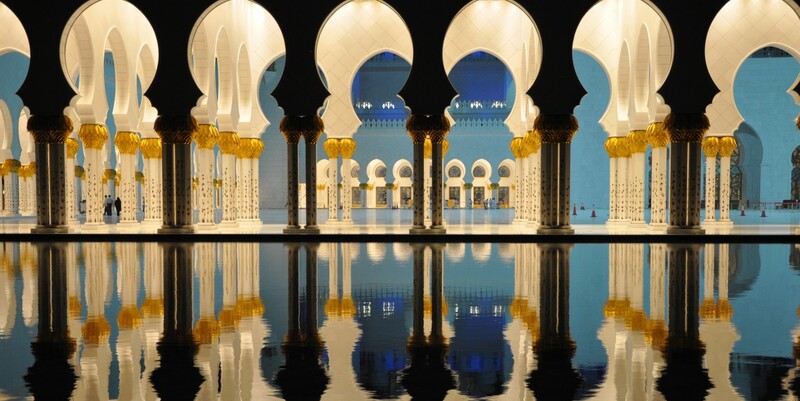 Here we found an oasis of tranquility and the most generous and hospitable staff we could imagine. 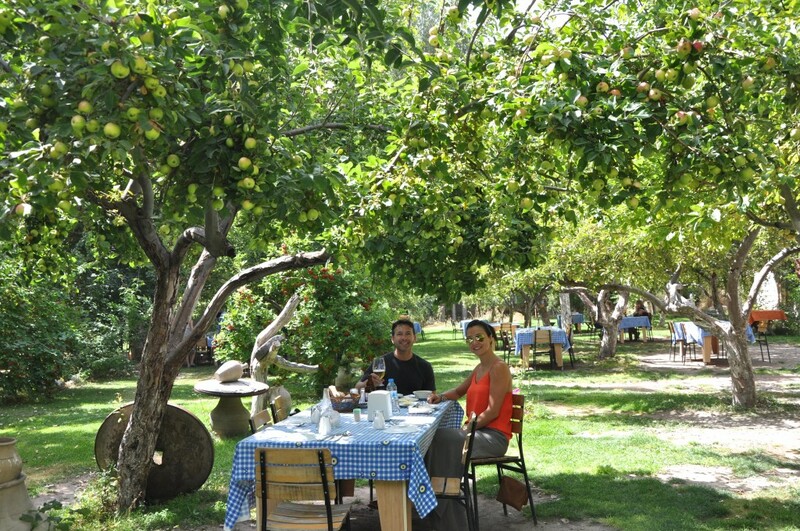 We sat at a long wooden table, under the apple trees and were immediately served fresh local cheese, bread, olives and honey. The beer was cold and the items described on the menu sounded delicious. We both opted for the traditional Cappadocia clay pot dinner, (which was offered with beef or vegetarian) salad and lentil soup.We were glad we decided to stay. In fact, we stayed for 2 hours! Yilmaz, the owner made sure our dining experience was memorable. He asked that we tell all our friends about his garden restaurant near the parking lot. And now we have. Located near the entrance and ticket office for Soganli. Entrance is located in the parking lot. Cash Only. Dinner at Sakli Konak in Uchisar – Tucked away on the side streets of Uchisar, is a wonderful restaurant by the name of Sakli Konak. Its located within the Sakli Konak Boutique Hotel. Warm and inviting, this restaurant offered some of the most authentic and delicious meals we had while in Cappadocia. The very hospitable owner and chef Reza, placed a large chalkboard menu at our table with all the daily offerings, then took time to explain each dish. Everything at Sakli Konak is made without the use of electricity, soley relying on ovens or open fire. There’s also a terrace with several tables for al-fresco dining! 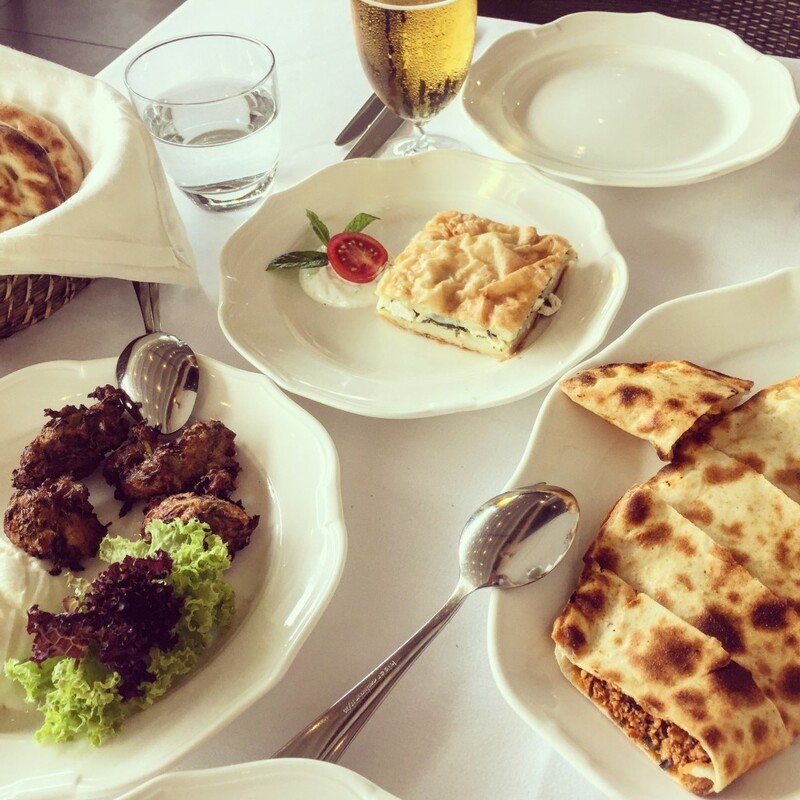 Dinner at Hezen Cave Hotel– Although the hotel does not have a restaurant on the property, they offer a selection of delicious mezze for you to enjoy in your room or alfresco on their comfortable terrace. 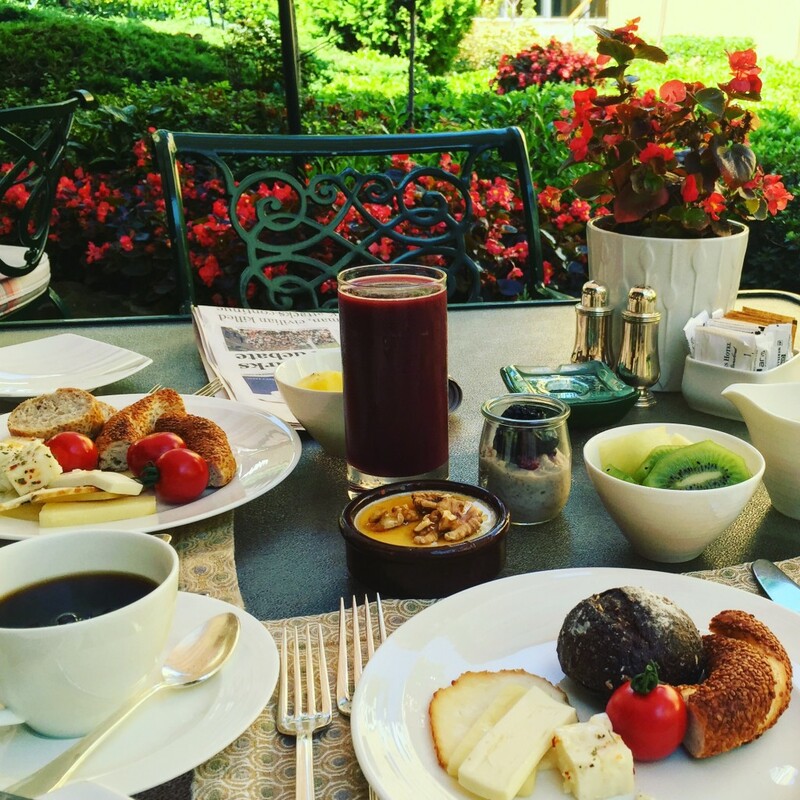 After a long day of sightseeing and a late lunch, we decided to enjoy a simple meal on the terrace instead of going into town. 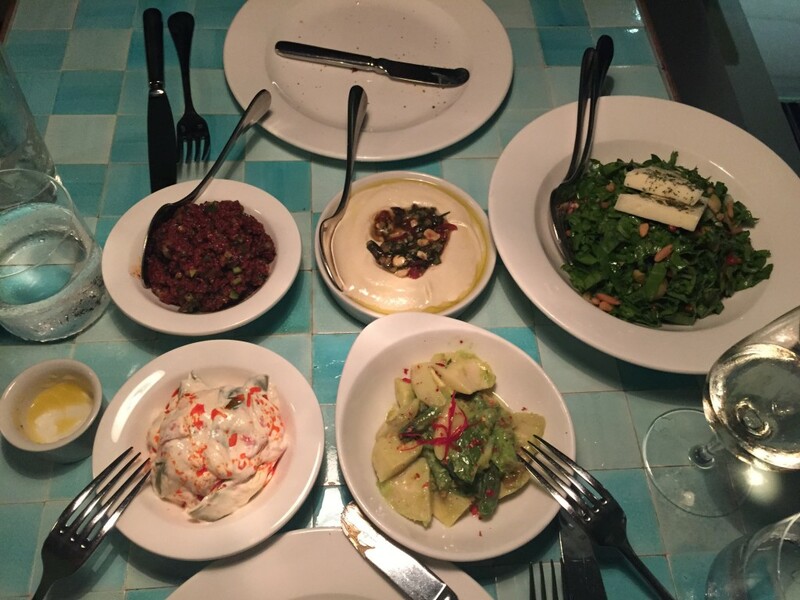 The mezze plate was more than enough for the two of us. They served us babaganoush, potato salad, bread filled with ground beef and tomato, local farm fresh cheese, grape leaves stuffed with ground meat, peppers stuffed with cheese, stuffed mushrooms and a delicious tomato soup! All washed down with Raki! A perfect evening! From simple to fancy, Turkey offers a variety of wonderfully delicious food! With so many restaurants to choose from, you’ll never go hungry and always have a great dining experience. 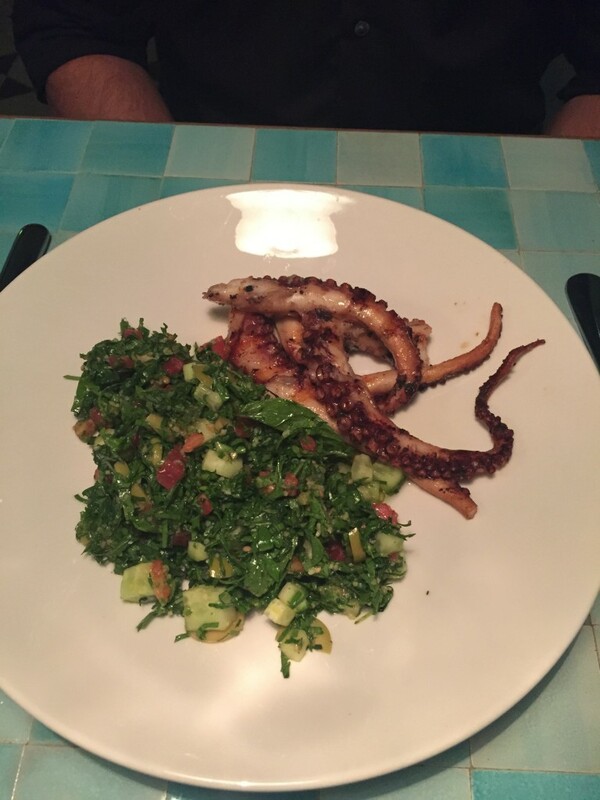 We enjoyed many different restaurants, and can’t wait to return to experience some more!